Our sensors are generally designed for long-term installation under adverse environmental conditions. 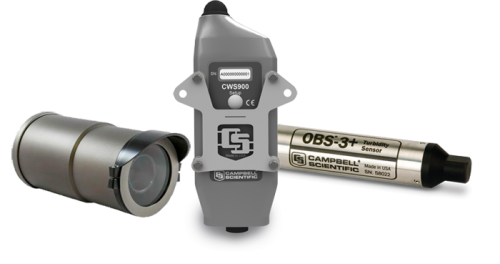 Most of the sensors listed on our website measure environmental and water resources parameters, but our dataloggers are not limited to measuring environmental sensors. Because of the potential issues, do not splice any sensor cable without first contacting an application engineer at Campbell Scientific to discuss the sensor in detail. How many sensors can a datalogger measure? The number of sensors that can be measured is determined by the sensor(s) and the datalogger(s). See the operator's manual for the sensor to determine the channels each sensor uses. The number of analog channels, pulse counting channels, switched excitation channels, digital ports, and continuous analog ports provided by each datalogger can be found in the small datalogger comparison chart and the large datalogger comparison chart.